Veganism is the new buzz word and is rapidly becoming the viable and exciting lifestyle of choice for many, and this is no accident. Progress doesn't happen overnight but over many years. Our skilled and talented staff continue to dedicate their time and energy to ensure we make the world a better place for all living things both now and in the future. This is done by working tirelessly in partnership with others, which gradually leads to changes in public perception and in people’s behaviour. Below are the six areas of work that link our day-to-day activity with our goals, mission and vision. We develop practical plans approved by Council at the beginning of each financial year. These annual programmes fit in with the six areas below, and push us closer to our overall goals. See our recent accomplishments in our 2017 Annual Review. Advocacy for better vegan nutrition and increased number of vegan options for older vegans, hospital patients, pupils, prisoners, etc. Producing evidence on the benefits of vegan nutrition, agriculture and socio-economic and political implications of animal use and veganism. More favourable portrayal of veganism in the media. Introduction of measures to reward production and consumption of plant-based products and disadvantage imported and domestic animal products. Enabling support for local sustainable stock-free agriculture. Increased market share of vegan products with supermarkets, retail outlets and caterers. 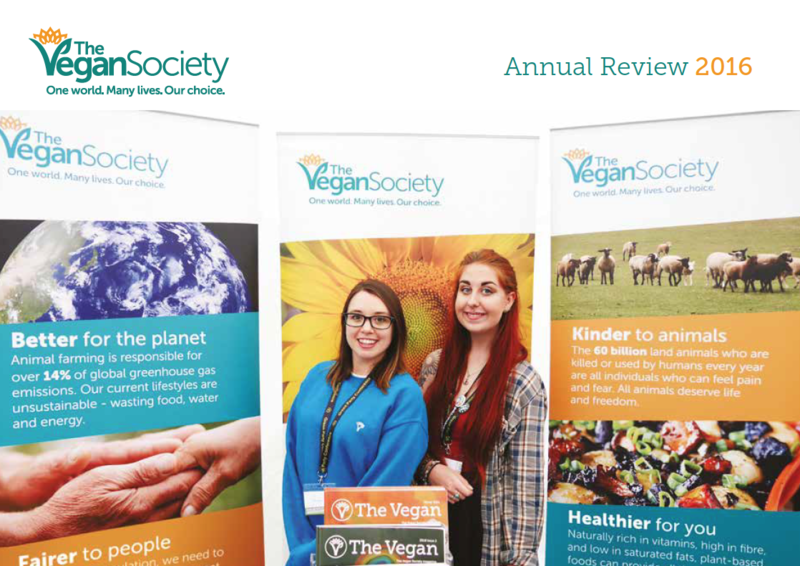 Organisational development of The Vegan Society including improved governance structures, investment in staff and increased fundraising.